Authors copies of paintings on canvas and reproductions. Printed paintings and there price. Value of the original is the summary of price value, desired by painter, plus the cost of materials and resources, that were needed for its production. There may be two kinds of copies: authors, and all other. The author copies must have an artist signature and a copy number. Usually, they are more expensive. The price of a copy depends on there number in production. The author can go two ways about copy production – definitive amount, or production amount according to customer orders. In that case of customer orders it impossible to know production amount. The price is set before we know the amount of copies that will be produced. Printing on canvas, painting reproduction on a printer. Therefore we take the copy number as a reference point. The price should lower with copy amount growth. Otherwise it will be difficult to give it a production number, and documentation, that would tell the whole number of prints and productions. If the painting was created digitally, then its first copy considered to be an original, and must have its own original price, that will be taken as a reference price for all further copies. All other copies must have marks or notes that would refer to the original copy. In the sum, we should get a system of prices for all paintings and copies, independently of production costs, and also ways to calculate the price of reproduction of a painting in relation to a price change of the original. Many depend on printing quality and production costs. If the seller wants to make a profit, he’ll sure take those factors into consideration. Percentagewise, this price extra will make the system very comfortable for copies of a high priced original and copies of cheap paintings. The more expensive equipment and materials are used for copy production of high priced originals. That will approximately make the percentage of cost for printing, adequate for a customer. Therefore, if follow such system, then the price of a printed copy can be calculated in accordance with the price of an original, and vise versa. The price of a painting may change, or it may be simply destroyed. Same can happen with any copy. In such a case, remained copies must take there place pricewise. If copy takes the place of an original, then the original must be considered “digital”, relatively speaking. The next copy must be considered an “original copy” and have higher price, because of its uniqueness. Then number two becomes one and so forth. 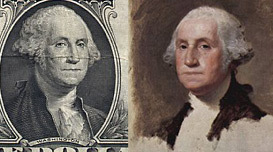 After the painting is lost, the price change of original copy and original copies is inevitable. It may get higher or lower. Well, its all good, but painters often modify copies them self’s to higher its rating, sometimes they just go with the same colors over again (lets say so). It would be reasonable to operate with the amount of work, spent by an artist for a “remake”, maybe take the amount of space that he had modified into consideration. A copy, fully covered with paint, may not be called a printed copy any longer. A copy, partially covered with paint lowers its quality, because with the time, printed paint, and artist paint will change there textures unevenly. Such an intrusion basically proves personal involvement of an artist with a particular canvas. Lets agree, that the painter equally responsible for all author prints, according to his signature on them. If painter modifies a copy, then what to do with the signature? Should he put another signature on it? Lets leave it to a painter to decide. Also, what if the price of all copies altogether equals the price of the original? Do we need original then at all?